The new year will see a rise in production of both bauxite and alumina from the world’s largest miner. Such was the news from a production report released by Anglo-Australian mining titan Rio Tinto Group late last week. In 2019 the company expects to produce between 8.1 million and 8.4 million metric tons of the aluminium precursor, up from last year’s alumina production total of 7.98 million metric tons. Rio Tinto said that last year’s production was down due to maintenance shutdowns, shaving 2 percent from its production total in 2017. Rio Tinto’s expected bauxite production this year is between 56 million and 59 million metric tons, a rise from 2018’s bauxite production total of 50.42 million metric tons. Bauxite production in 2018 was off by 1 percent due to scheduled tie-in works at the CBG mine in Guinea, where an expansion of operations is underway, and a shutdown at Alunorte in Brazil, necessitating a drawdown at MRN. The firm’s in-house production remained strong at Gove and Weipa, both in Australia. However, the final quarter of the year saw a 14-percent drop on the year due to a planned transition of operations from East Weipa to Amrun. The quarter also suffered the most from tie-in operations at CBG, explained the firm. 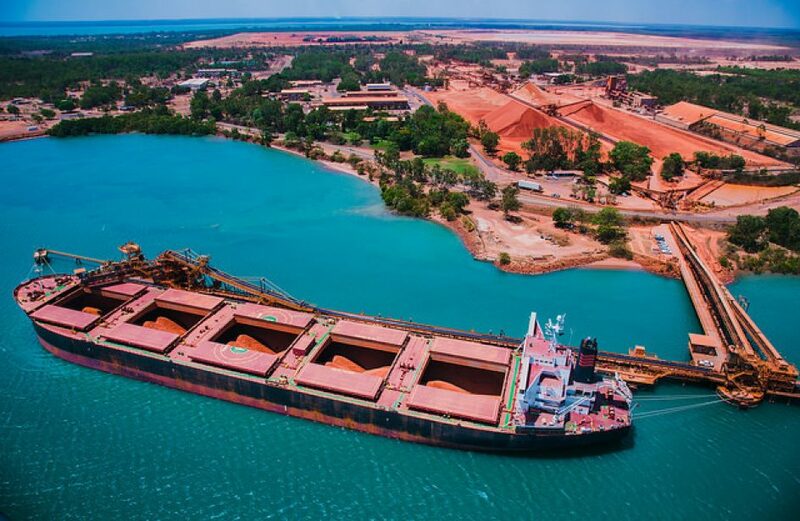 Third-party shipments of bauxite rose by 2 percent to 32.8 million metric tons in 2018, despite a 19-percent drop in the year’s closing quarter due to a corresponding drop in production detailed above. Aluminium production this year will be slightly off from last year’s total of 3.46 million metric tons, projected the firm. A 2019 total of between 3.2 million and 3.4 million metric tons is Rio Tinto’s projection, peaking just below last year’s total that was down by 3 percent from 2017. The company said that a labor lock-out at Becancour smelter in Quebec and a power interruption at Dunkerque in France (which is now owned by Liberty House) negatively impacted production in the just-completed year. Minus these obstacles, Rio Tinto’s aluminium production was up by 1 percent, the company noted.